When a woman is worried over a lack of adequate breast milk supply during lactation, she can be sure that what’s not lacking is a wide variety of herbal supplements marketed as galactogogues, or substances that promote milk production. Teas and supplements such as Fenugreek, anise, fennel and coriander (herbs found in teas such as Mother’s Milk) have been used historically for a variety of health conditions including treating symptoms of menopause and inducing childbirth. 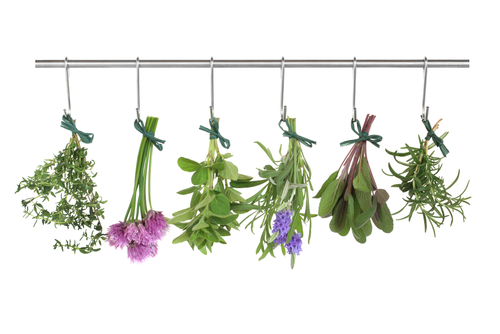 Consuming an herbal remedy may sound like a great option or a “quick fix” to help increase breast milk production, but unfortunately there is no solid evidence to support that the herbs in lactation teas or supplements have a galagtogogue effect. Dietary supplements do not require extensive regulation from the Food and Drug Administration so there is no guarantee of safety or purity. Although there are usually no adverse effects to consuming these herbs during lactation, they should not be depended upon to increase milk production. Women with diabetes should not take Fenugreek as it may have a blood sugar lowering effect and cause hypoglycemia. Before turning to herbal supplements, a mother should make sure she is eating and drinking well to promote adequate breast milk production. She should consume an extra 500 calories per day over her usual pre-pregnancy intake, drink 10-12 eight ounce cups of fluids each day, and consume a variety of nutrient-rich foods from all food groups. To ensure enough calories are being consumed, two 250 calorie snacks should be added between meals such as a six ounces of yogurt with nuts and dried fruit, an apple with a tablespoon of peanut or almond butter, or a serving of whole grain crackers with cheese. If a mother does choose to take an herbal supplement it is always a recommended to consult with her doctor or an herbalist as some may have adverse effects. Some should not be consumed in high quantities during lactation. These include peppermint tea, peppermint candy and menthol cough drops. Others should be avoided (Chaste Tree Berry, Aloe, Blue cohosh, caraway oil, peppermint oil, sage, and senna leaf). The National Library of Medicine’s Drug and Lactation Database is a great resource for researching information on the safety of herbs (though not many published studies exist for herbs as they are not regulated by the FDA) and drugs to which a woman may be exposed during breastfeeding.